I have been seeing this 8-in-1 Eyeshadow Palette for a while now in the sneak peek Avon ladies brochures and I’m quite excited about them. 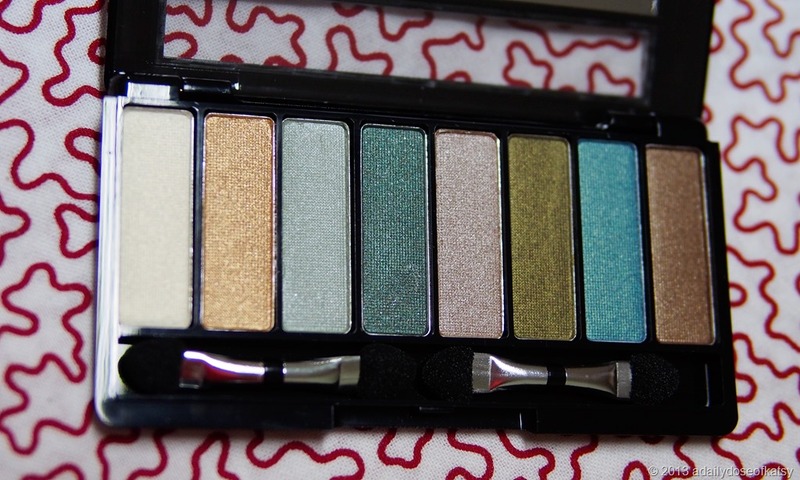 Palettes provide great value for money as you get different shades that are usually coordinated to make it extra easy for novices or diverse enough for the more experimental. 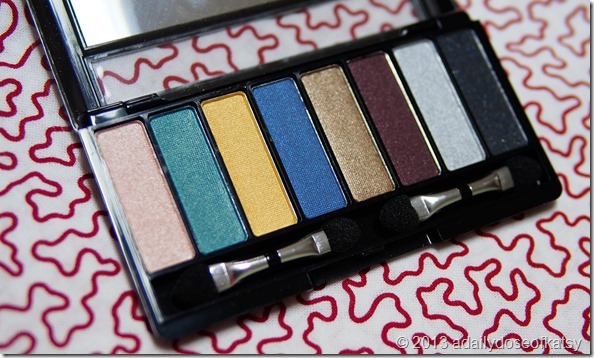 This month as part of the Avon Makeup Council, I’ll be reviewing the 3 available variants – “The Blues”, “The Greens”, and “The Metallics”. 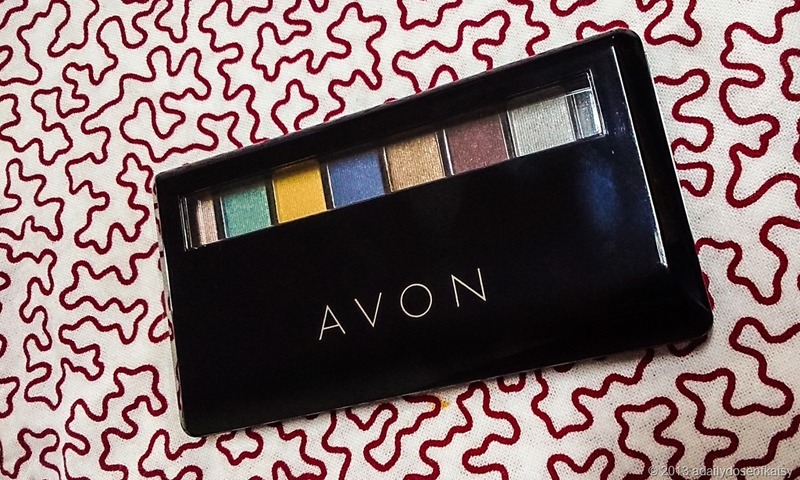 The palettes are of typical Avon packaging – black plastic that feels light to carry around but are quite the fingerprint magnets. 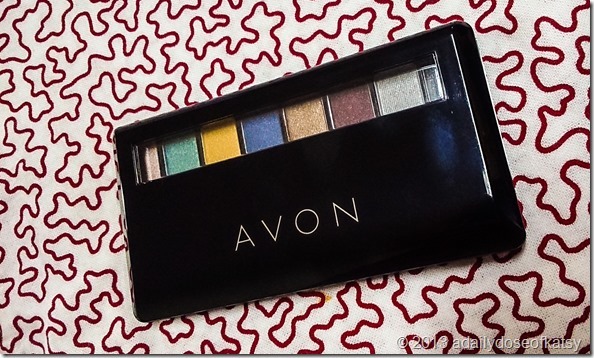 The clear view window feature of the recently launched Avon Ultra Color Lipsticks can also be found here and this proves really useful to quickly distinguish between the palettes. Inside you can see the color-coordinated shadows with 2 dual-ended sponge applicators and a slim mirror that’s just enough to see your gorgeous peepers. I made a mental note to myself to try out these applicators to see if they’re actually useful as I normally just disregard them and use my brushes. They’re not as soft as I would have loved them to be but they do serve their purpose. You can pile on the different shadows using three of the sponge ends and just reserve a clean one for blending. They will be plenty useful when traveling, for those who don’t want to carry around their brushes. I usually bring my travel brush set though and even pack full-sized ones sometimes. But having the option of using the included applicators is great too for those lazy or late-and-rushing times. Each palette comes with 8 shades and have a variety of matte, shimmer, and satin finishes. I usually feel giddy every time I look at palettes especially when I can see plenty of mixing and matching opportunities. 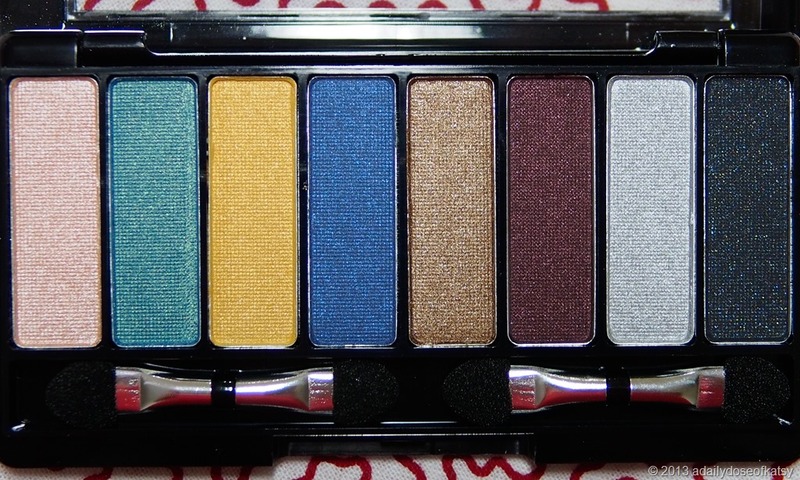 I think that 8 shades give you great versatility without overwhelming you. I honestly tend to get overwhelmed when I have too many shades in front of me but the more the merrier when it comes to makeup yes? 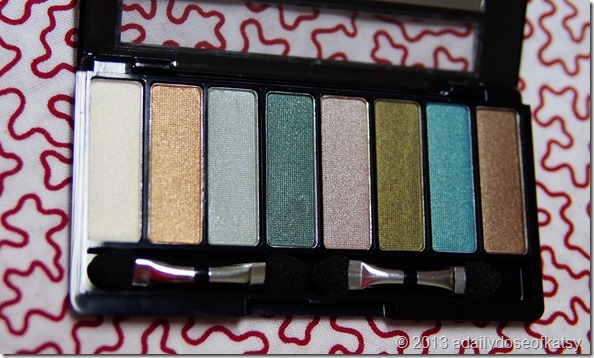 My personal favorite when I look at the brochure is “The Greens”, partly because I don’t have an army of green shadows yet and I’m always one for having options. 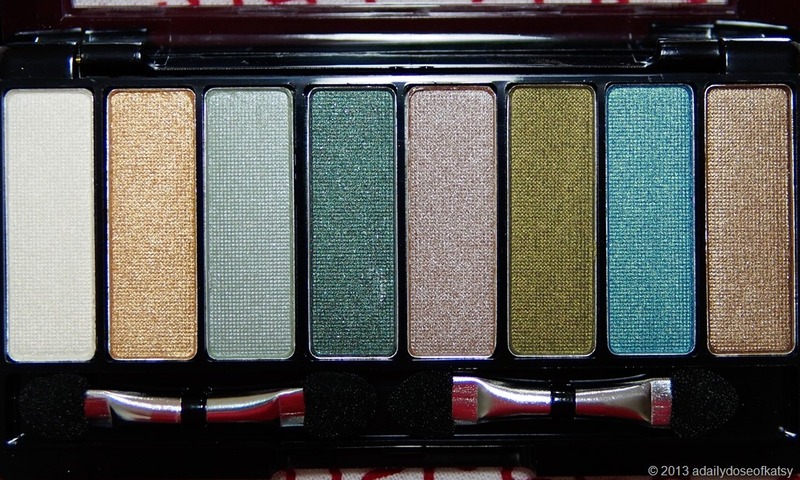 Upon closer inspection though, I’m now quite confused on which is my favorite as each palette is different and the colors look amazing. Pretty, pretty colors. Now I wanted to test them out but since I didn’t have enough time to do a full makeup look and I still had to go to a meeting, here’s a quick look I did using “The Blues” palette with the included sponge applicators. 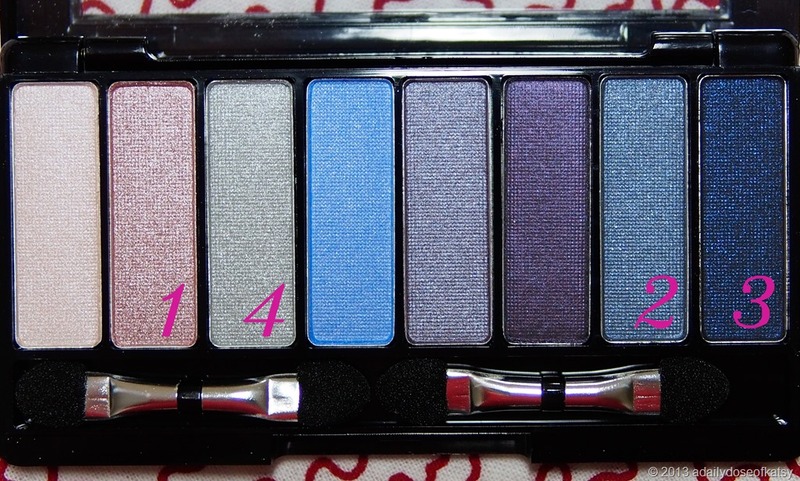 I numbered the colors above to show which ones I used. I will try to describe each the best I can. #1is a really nice pinkish rose color in a satin finish that I used all over my lid. 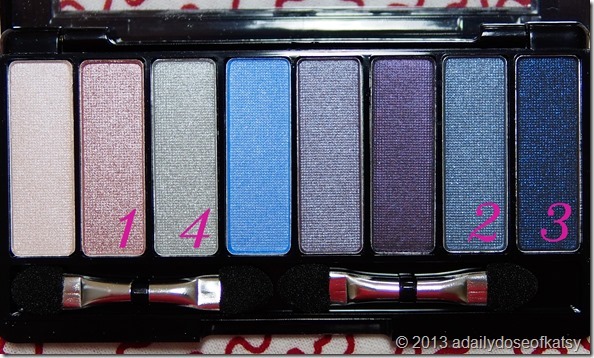 Since the palette was “The Blues”, I used the #2 which is a shimmery blue grey color on my outer lid and crease. 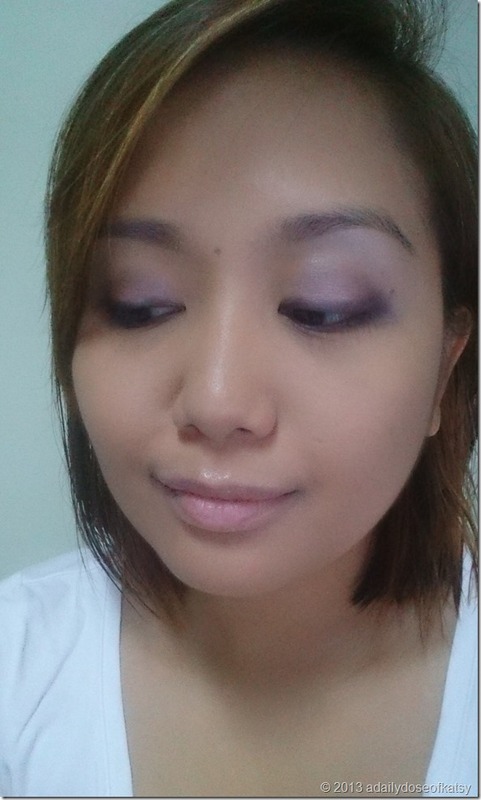 To darken the look a bit, I used #3 which is like a really shimmery metallic navy blue on the outer edges and to line my eyes as well. 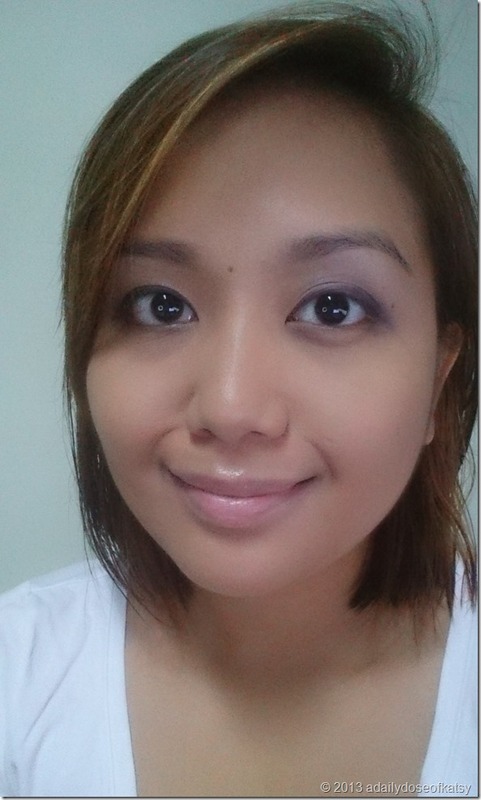 I wanted to try out the finish if I used the shadow wet but I was rushing so let’s leave that test for another time. To finish off the look, I applied #4, a light silvery grey blue on my brow bone to highlight. 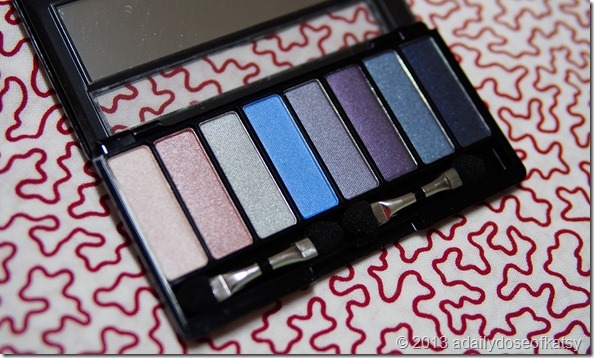 Quality wise, Avon’s eye shadows have always been competitive for their price range. I experienced a bit of fallout though in the #3 shade but the rest blended quite well. I love how this particular palette, “The Blues”, feature a range of colors from light neutral pink to purple to blue in my favorite non-makeup shades. Colors stayed true and lasted for hours. But I basically stayed inside with the AC on so the verdict is still out on whether they would last through the humidity and oil and sweat and pollution of a normal day. 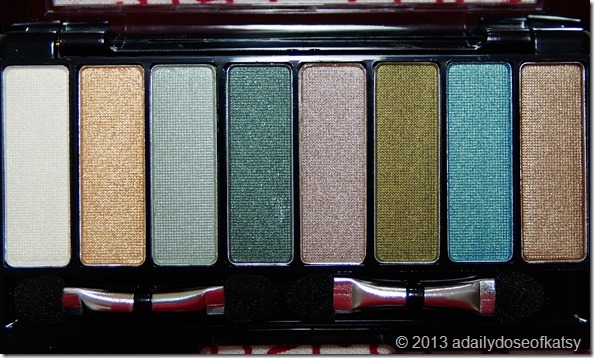 More on the UCR Holiday Lipsticks and hopefully, some crazy close-up swatches soon! 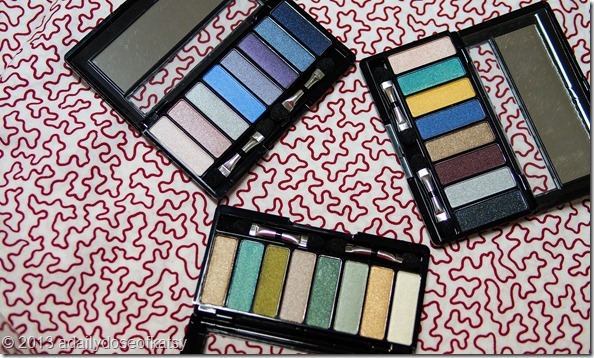 Overall, these Avon 8-in-1 Eyeshadow Palettes would make a great gift to any makeup lover. 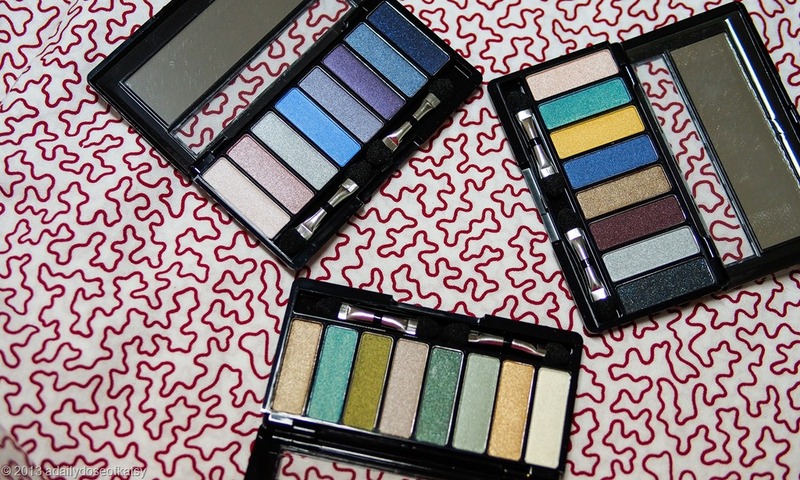 Whether you’re a novice or an expert already, these palettes would give you plenty to play with and allow you to create endless, fabulous looks. 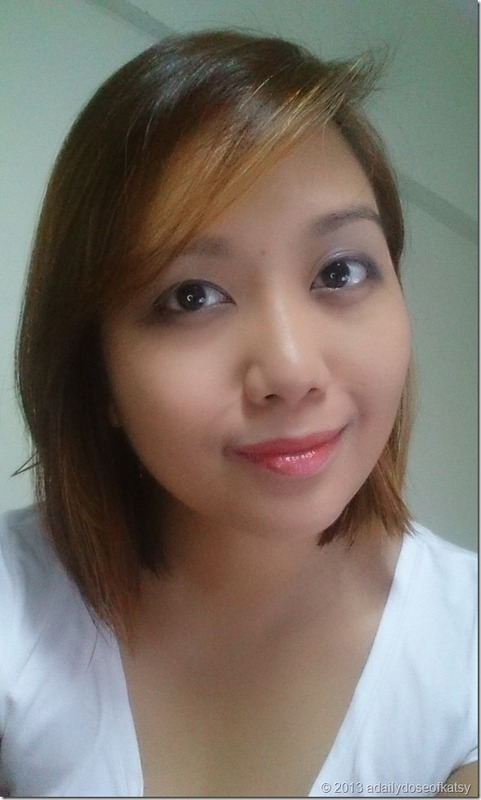 They’re quite affordable too with a special intro price of P349 in the November 16-30, 2013 Avon Brochure. aww thanks for your kind words, Katsy!! Glad you enjoyed what you saw on my lil blog!